I'm looking for a partner to purchase my full 2018 Season at face value. 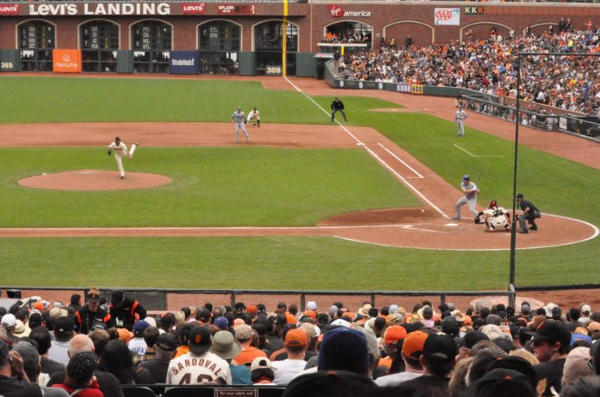 If the Giants make it to the post-season, we'll split the post-season tickets, at face value. I'll take the first game, you get the second, and then we alternate. Another beautiful day watching the Giants! Dang! I was just going to tell you this morning we were willing to do the 1/2. Any chance of a split -- I'm willing to take only 10 -- generally weekend day games because my wife prefers to go during the daylight hours? Let me know what we might work out. I'll have some tickets to sell, from my half, including weekends. I may not sell those at face value though. The Giants won't let me put my contact info in here. It's odd--I don't know how we can communicate. It's frustrating. Hi chuck, I believe I've found a partner, but if it call through I'll post that news here. I have a couple people interested, but nothing final yet. this is for 41 games ? are these seats under the overhang? This is for 42 games, as they make me buy 84. They are under the overhang, though I have to say as often as not you're glad that it's never cold there. would you be willing to split the opening day tickets? No, but I'll use my season ticket rights to buy you a pair of opening day tickets if you like, face value.